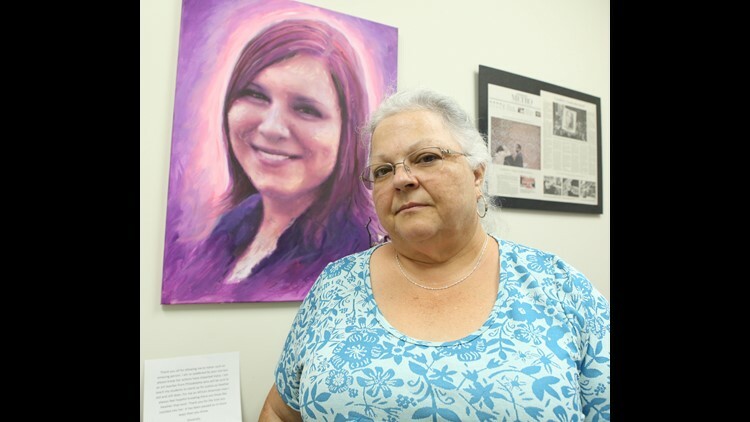 Susan Bro, the mother of Heather Heyer, who was killed in Charlottesville after being struck by a vehicle during the white nationalist riots, poses for a portrait in a room in Heyer's old law office, where her charitable foundation is now headquartered. The room, small but cheerful, features paintings of Heyer, tweets from Bernie Sanders in her honor honoring her, inspirational quotes and flowers. Everything is bedecked in purple, Heyer's favorite color. 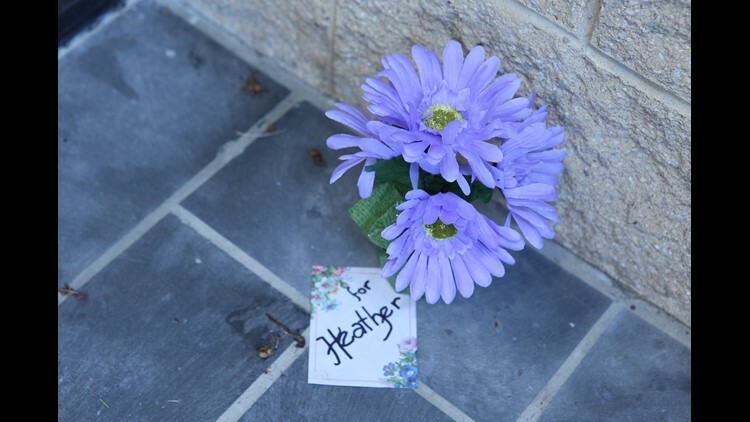 A small memorial of flowers mark the spot where Heather Heyer smoked outside of her old law office in Charlottesville.